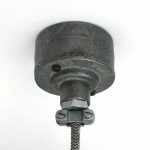 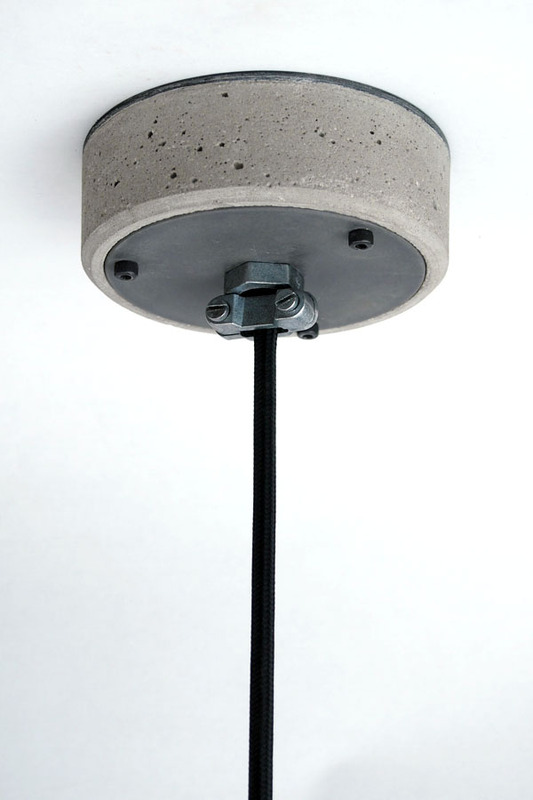 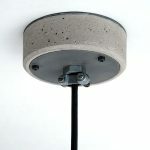 My Concrete Ceiling Rose is constructed like a concrete “sandwich” with a steel base plate that is cast into the concrete and a steel cover plate with cable clamp or chain hook. 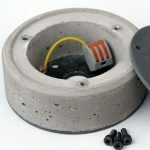 The box is fitted with a brass earth clamp, flying earth lead and WAGO 3 way earth cable connector. 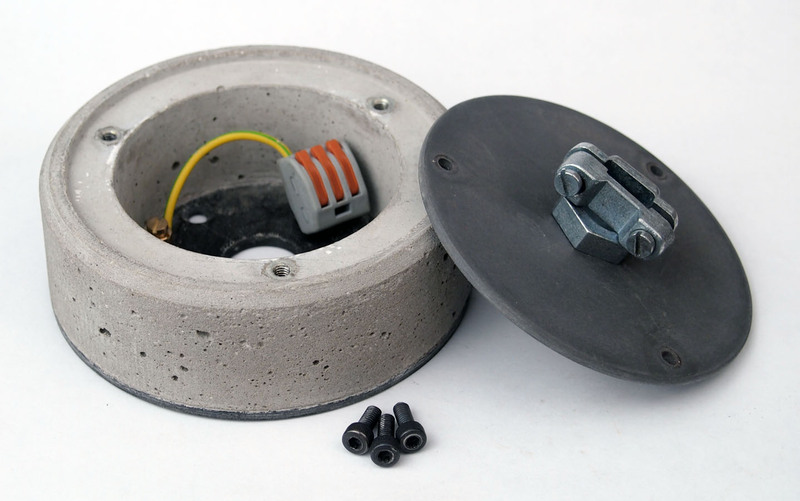 The base of the box has 4 fixing holes (2 counter sunk and 2 slot) and a 20mm diameter cable through hole. 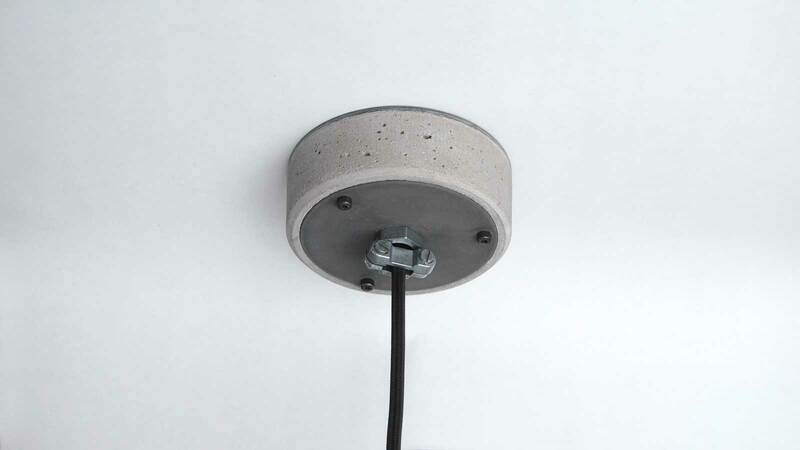 The Concrete Ceiling Rose hook is available in 2 finishes, the standard galvanised finish (shiny silver) or raw metal finish (dark grey natural iron). 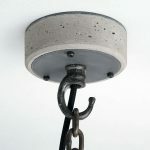 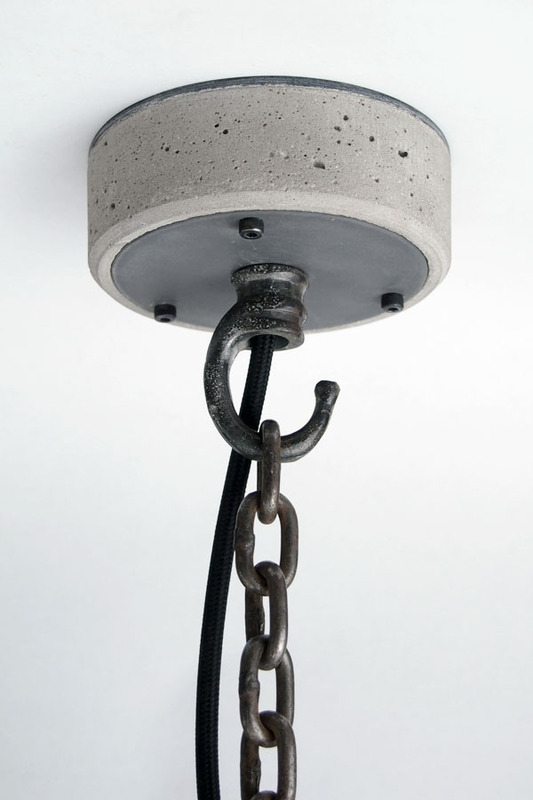 These concrete ceiling roses are the perfect match for all the Brutal Design concrete lights.